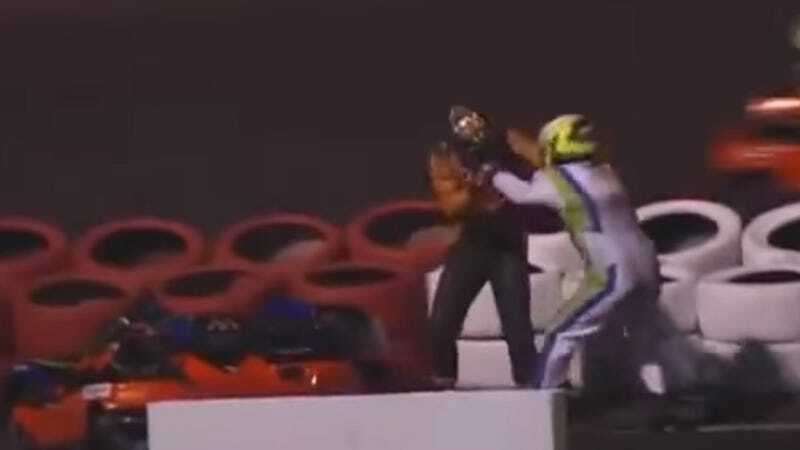 Last night in Brazil’s premier “500 Milhas de Kart” event, two drivers were disqualified for engaging in fisticuffs after the pair had contact on track that ended with both of them stuck in the barrier with just 18 laps remaining in the race. 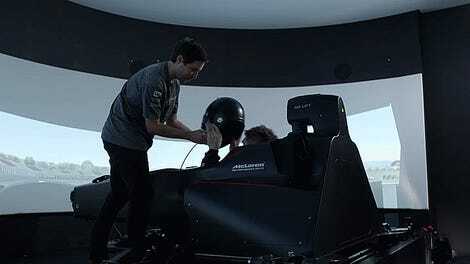 Rodrigo Dantas, driving for the same team as Formula One driver Felipe Massa, was a lap down and holding up Tuka Rocha, who was in second at the time, and trying to catch Massa in the lead. After several kart-to-kart contact incidents, Rocha finally pushed Dantas wide into the barrier and immediately leapt from his kart ready to fight. Dantas got out of his kart to defend himself from attack, and eventually got the upper hand, pinning Rocha to the ground and repeatedly punched his helmet in retaliation. The two were wrestled apart by security guards, and all of the karts from both teams—MDG Matrix and Sambaiba Centerbus Racing—were disqualified from the results. “For me, this is very sad and sadder still to see my team within that. It was not my decision - I was driving the [leading] kart - but I apologize to everyone for what happened, because I have never seen anything like it in my career.